Recently, I received an email from a woman asking me to explain the healing process specifically, what to expect post-healing. She wondered if healing could cure her husband of Diabetes. I started to write an email in reply, but it grew into the following article. I’m sharing this in hopes that it helps others who may have similar questions. Rather than focusing on a symptom or body part, holistic healing addresses one’s entire being: spiritual, mental, emotional and physical. It flows from the level of pure consciousness down to the physical. Energy healing isn’t a magical cure-all that instantaneously fixes everything. It is a journey that begins with intention, and includes a shift in consciousness along with lifestyle changes. Healers are to healing what midwives are to birthing. Just as the midwife can’t give birth for the expectant mother, the healer can’t heal for you. We are facilitators in the healing process, here to lovingly assist you. Love heals, whereas fear causes dis-ease. Healing is, therefore, the process of releasing the fear that is blocking you from fully experiencing love (health, happiness, abundance, etc.). Healing doesn’t suppress symptoms. Instead, it peels back the layers that obscure the truth, and eventually lays bare the core wound that caused the dis-ease. Once that core is exposed, it is lovingly healed and the wisdom attached to that experience is integrated into the consciousness. The faith you need is a combination of trust and belief. These must be so steadfast that your fear (doubts) can’t creep in and undo the healing before it has manifested. Do you have faith (trust; belief) in the healer to help you? Do you have the faith necessary to sustain you throughout the post-healing process? Bottom line: Your beliefs create your reality. You have to believe yourself well. What Happens During and After Healing? 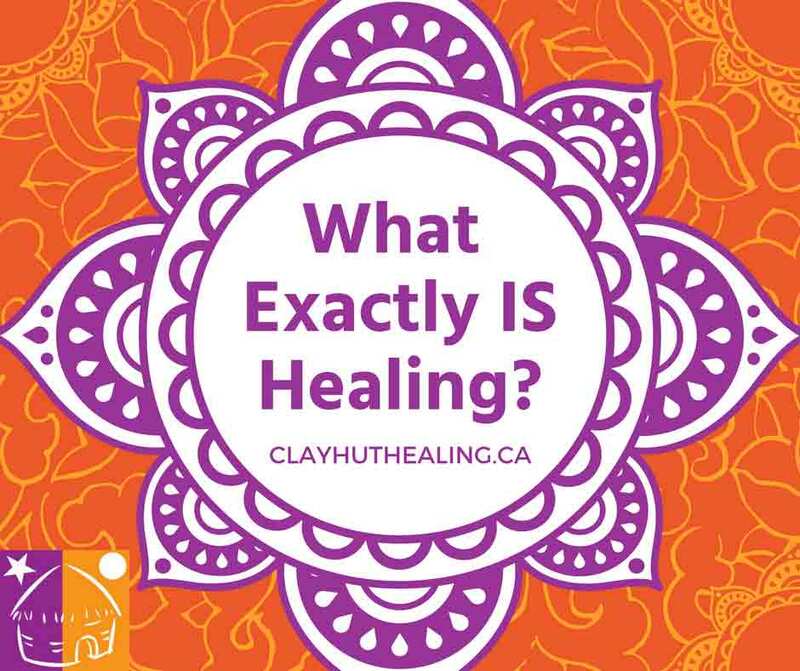 Pre-Healing: The practitioner asks the healing recipient questions which help to determine the focus of the healing. She also talks about the healing process and what to expect. The Energy Healing Process: The practitioner scans the energy body (aura and chakras) for abnormalities and then energetically repairs them. Post-Healing: The practitioner makes recommendations (i.e. lifestyle changes; self-care routines). These activities are vitally important because they help to correct the imbalances that caused the dis-ease. They also help hold the space for the energetic healing to manifest on the mental, emotional and physical levels. The time this process takes depends on the individual. If, for example, during the post-healing summary the healer shares empowering intuitive guidance, then the healing process may progress faster. That’s because the healer is helping to expand the recipient’s consciousness, which in turn, awakens his/her gifts, including the power to self-heal. As you can see, healing isn’t a magic elixir. Healers don’t have the ability to take away the darkness permanently. We can help in the short-term, but long-term results depend on what you think, how you feel and what you do. Healing is about self-discovery, learning and the reacquisition of personal power. It’s about waking up in the dream we call life, and choosing to use the divine spark within to co-create a life that you love. The role of the healer is one of a loving mentor, teacher, confidante and guide. We will happily assist you, but ultimately you are the one who is doing the healing. And that is both the hardest and most rewarding work you’ll ever do.